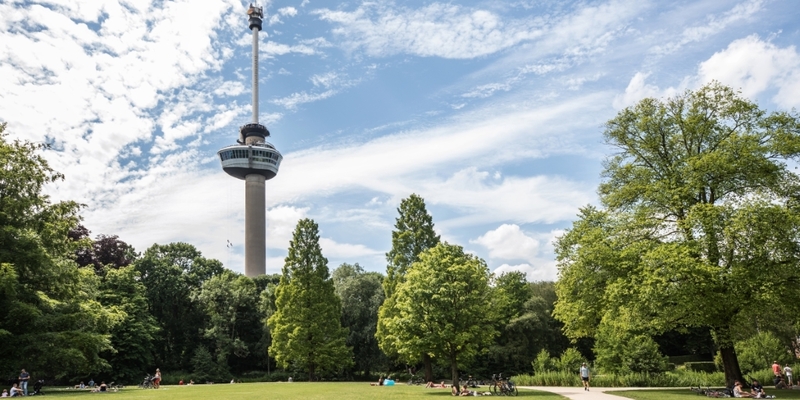 Start your visit with a 360 view over Rotterdam, the harbour and its surroundings. The Euroscope revolving lift takes people to a height of 185 metres. 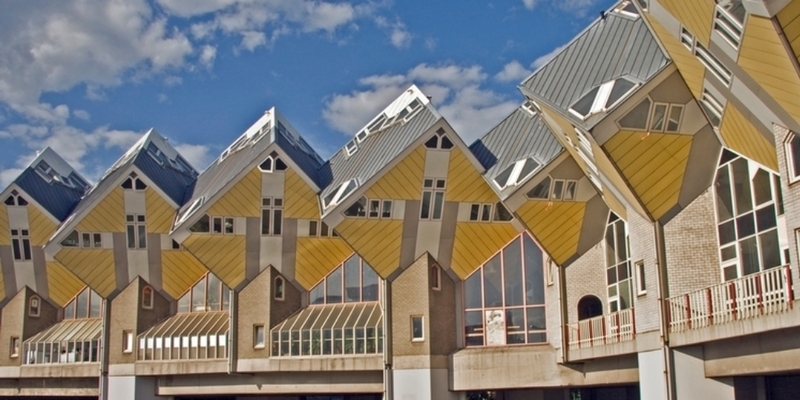 The architect Piet Blom wanted to design a kind of village within the city and saw the houses as trees and the whole development area as a wood. 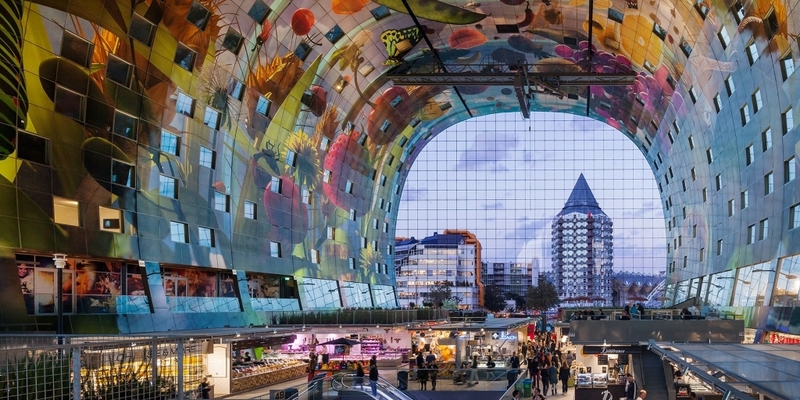 The combination with luxury housing makes Rotterdam’s Markthal the first of its kind. The apartments are draped over the food market in a horseshoe configuration. 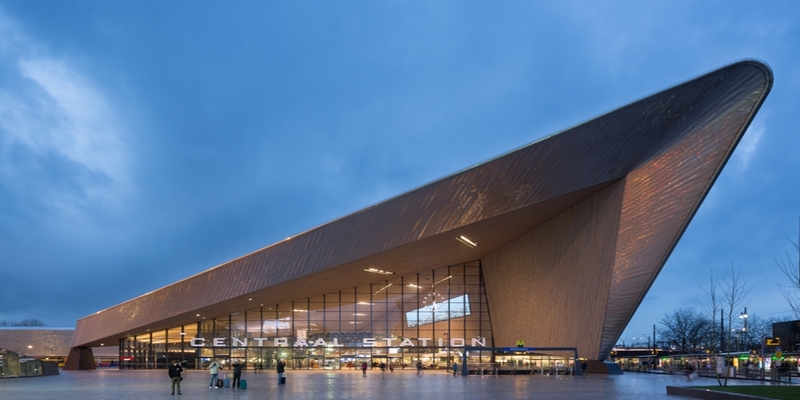 It has had a total makeover in recent years, making the station one of the most iconic architectural features in Rotterdam. The suspension bridge has a 139-metre high steel pylon, which is secured with 40 cables. The shape of the pylon gave the bridge its nickname, The Swan. 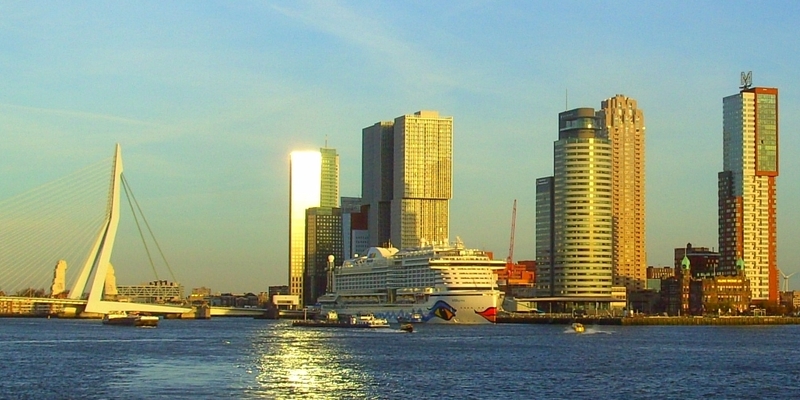 The building on the banks of the River Maas was formerly the Holland America Line head office. The historic canal houses hold cosy shops selling antiques and bric-a-brac, as well as lovely cafés and restaurants. One of the oldest museums in the Netherlands. It features many major Dutch and European works spanning the period from the early middle ages to the 21st century, from Van Bosch to Rembrandt, and from Van Gogh to Dalí and Dutch Design. The museum is located in one of the oldest and largest museum harbours of the Netherlands, where you can visit historic vessels and cranes and experience how the world's leading port of Rotterdam began at this spot. 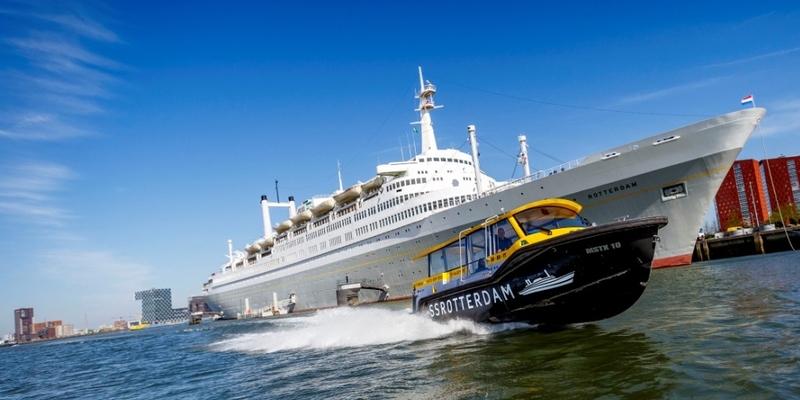 The fast water taxis take you on request to 50 different docks in Rotterdam and Schiedam. It is quicker than by road, saving you time and irritation. The Watertaxi network is unique in Europe. 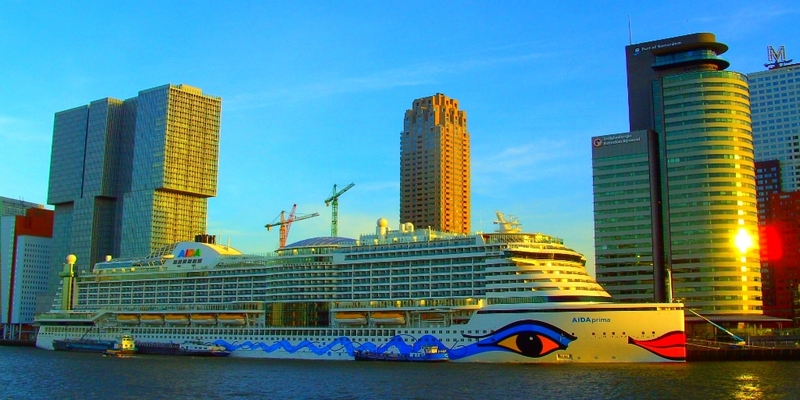 Rotterdam is at its most beautiful from the water. 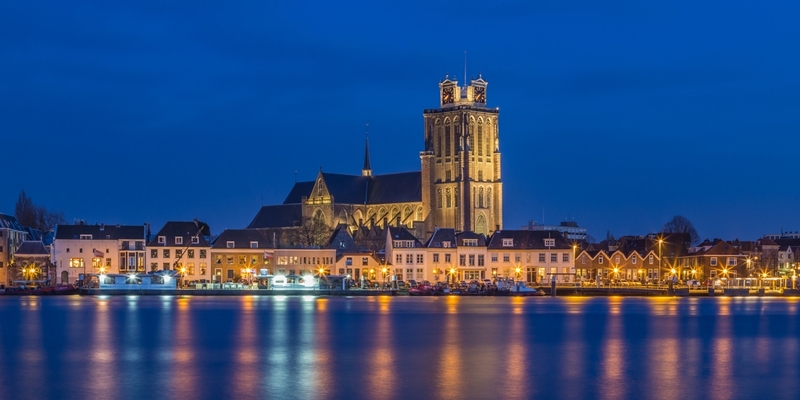 Enjoy the city and the largest port in Europe with a spectacular trip on the River Maas. 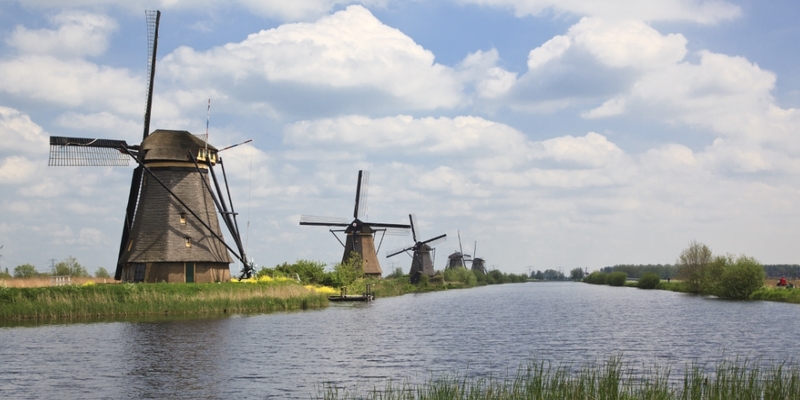 a World Heritage site with 19 windmills dating from the 18th century. an ancient Dutch city surrounded by wide rivers. A city with more than a thousand monuments and historic city ports it offers stunning views over the busiest river crossroads of Europe.